On June 15 we were waiting at our healing rooms by a committee of the Better Business Bureau of the city of Spokane, whose duty in part it is to investigate the truthfulness of all public announcements appearing in the city papers. For some time previous to this, we had been publishing some of the wonderful testimonies of healing by the power of God that had taken place in the daily course of our ministry at the Divine Healing Institute. Among the testimonies that had appeared was the wonderful testimony of Mrs. John A. Graham, née8 Peterson, whose healing astonished the medical world. The testimony of Reverend Joseph Osborne, left to die of Bright’s disease at the Deaconess hospital, analysis showing 15 percent albumen; Reverend Charles B. LeDoux, healed when in very death from pneumonia; Mrs. Mary Mere, Mrs. Leana Lakey, Grover Risdon, baby Agnes Young, Mrs. Mary Matheny, of Portland, Oregon, who was healed of forty cancers, and others. These testimonies were so astounding that complaints reached the Better Business Bureau to the effect that the testimonies must certainly be untrue. The Better Business Bureau promptly undertook an investigation, and the call at our healing rooms was for that purpose. In the presence of the committee, as they waited, we called eighteen persons whose testimonies had appeared in the public print, who in turn gave testimony as to their own condition and the wonder of their healing by the power of God in the name of the Lord Jesus Christ under this ministry. After eighteen had been examined, we presented them with names of many healed persons in the city, desiring them to go personally to these persons and investigate for themselves whether these things were so. Realizing the amount of labor necessary for a proper investigation, I suggested to the committee that on Sunday, June 23, at three o’clock in the afternoon at our public service, we would present one hundred cases of healed persons for their investigation and invited them to form a committee composed of physicians, lawyers, judges, educators, and businessmen, who should tender a verdict. The whole countryside around Davenport is aflame with surprise at the marvelous healing of a girl in this community, well-known to me, and, I believe, well-known to yourself, Miss Louise Reinboldt, daughter of Mr. Jake Reinboldt. About three-and-a-half years ago, Miss Reinboldt and her sister were operated on for what the doctors thought was appendicitis. The one girl died as the result of the operation. Louise came out of it unable to speak. She was taken to throat specialists, who pronounced her case absolutely incurable. Recently she was taken to Spokane to Mr. Lake’s healing rooms and ministered to for twenty-six days. On the twenty-sixth day, she startled her mother and family and, in fact, the whole countryside, by calling her mother on the long distance telephone and announcing to her in plain words the fact that she was healed. While preparing for her daily visit to the healing rooms, she suddenly discovered herself whistling, and said to herself, “If I can whistle, I can speak also,” and so discovered the paralyzed condition of her throat was truly healed. Other members of the committee reported similar remarkable healings, and not being desirous of becoming a public laughingstock, they hastily wrote as above quoted. Mr. Lake, however, announced that there would be no change in the program, but that the meeting as announced would take place, and if the Better Business Bureau would not take their place, he would appeal to the public for a verdict. The meeting took place at the Masonic Temple before a large audience estimated by the police to number thousands, hundreds being compelled to stand throughout the entire service, and hundreds were refused admittance. Reverend R. Armstrong, a Methodist minister, of N2819 Columbus Avenue, who had a sarcoma growing out of the left shoulder three times as large as a man’s head, was healed in answer to prayer. Reverend Thomas B. O’Reilly, of 430 Rookery Building, testified to being healed of fits so violent that when stricken with them it required seven policemen to overpower and confine him in the hospital, and of his instantaneous healing and perfect restoration to health through the prayer of faith. Baby Agnes Young, N169 Post Street, healed of extreme malnutrition. A patient at the Deaconess hospital for nine months, from the time of birth until her healing, she weighed six-and-a-half pounds at birth and at the age of nine months, only four-and-a-half pounds. 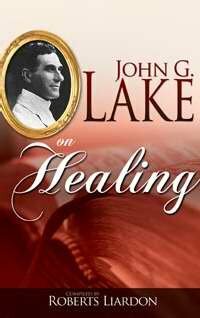 One evening, when one of the ministers from Reverend Lake’s healing rooms called to minister to her, she was found in the dead room. The nurse, believing her to be dead, had removed her to the dead room. He took the child in his arms, praying the prayer of faith; God heard and answered. He removed her from the hospital and placed her in the hands of a Christian woman for nursing. In six weeks, she was perfectly well and strong. The father and mother arose to corroborate the testimony. They are both members of Dr. Lake’s church. Mrs. Chittenden, pastor of the Church of the Truth at Coeur d’Alene, Idaho, testified to her healing of cancers of the breast; one breast having been removed in an operation and the other breast becoming likewise affected with cancer. She was healed of the Lord in answer to prayer. Mrs. Everetts, 1911 Boone Avenue, testified to her healing of varicose veins. She had suffered from them for thirty-eight years. The veins were enlarged until they were the size of goose eggs in spots. Under the right knee there was a sack of blood so large that the knee was made stiff. She had exhausted every medical method. After being ministered to at the healing rooms for a short period, she was entirely well and the veins are perfectly clear. Mrs. Constance Hoag, Puyallup, Washington, broke her kneecap. A section of the bone protruded through the flesh. She wrote requesting that the ministers of the healing rooms lay their hands upon a handkerchief in faith and prayer and send it to her in accordance with Acts 19:12. This was done. She applied the handkerchief to the knee and in fifteen minutes the pain had gone, and in an hour the bone had returned to place and was perfectly healed. Mrs. Walker, Granby Court, was an invalid at the Deaconess hospital from internal cancer; after an exploratory operation she was pronounced incurable by the doctors. She also had a severe case of neuritis. Her suffering was unspeakable. She testified to her healing and of her restoration to perfect health, the cancer having passed from her body in seven sections. Since then, many have been healed through her prayer and faith. Mrs. John A. Graham, E369 Hartson, a nurse and hospital matron, was operated on for fibroid tumors. The generative organs were removed, and at a later date, she was operated on a second time for gallstones. The operation not being a success, she was eventually left to die; and when in the throes of death and unconscious, she was healed by the power of God in answer to prayer of one of the ministers called from the healing rooms. The organs that had been removed in the operation regrew in the body, and she became a normal woman and a mother. Mr. Asa Hill, a farmer from Palouse, Washington, testified that he had been a rheumatic cripple for fifteen years and was instantly healed at a meeting conducted by Mr. Lake, through prayer with the laying on of hands. The meeting was held at a theater in Moscow, Idaho. Mrs. Wolverton was injured in a Great Northern railroad wreck and was awarded large damages by the court. (See court record.) Physicians testified her injuries to be such that motherhood was impossible. After her marriage, the physician’s testimony was confirmed. She was healed in answer to prayer and gave birth to a son and since has given birth to twins. Miss Jennie Walsh, S116 Fiske Street, had a disease of the gall bladder, which became filled with pus. Her physicians insisted on an immediate operation to save her life. 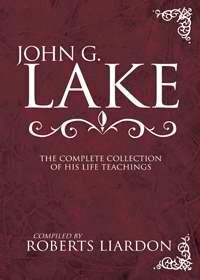 Mr. Lake laid hands upon her in prayer at eleven o’clock pm. Ten minutes afterward her pain ceased, the pus emptied from the bladder naturally, and she was entirely healed. Mrs. Lamphear, 115½ Sprague Avenue, was an invalid for eleven years, suffering from prolapse of the stomach, bowels, and uterus, and also from tuberculosis and rheumatism. Her husband carried her from place to place in his arms. After eleven years of terrible suffering, upon the advice of her physicians, who were unable to assist her, she was sent to Soap Lake, Oregon, for bath treatments. Ordinary baths had no effect on her, and the superintendent testified that they had finally placed her in super-heated baths, hotter than they had ever put any human being in before. Through this treatment, an abnormal growth was started in the left leg and foot. Her leg became three inches longer than the other, and her foot one inch too long. A bone as large as an orange grew on the knee. She received an instant healing of rheumatism. The leg shortened at the rate of an inch a week, the foot also shortened to its normal length, and the bone growth on the knee totally disappeared. Her tuberculosis was healed, and she is praising God for His goodness. She was born without the outer lobe of one ear; it also grew on. Mrs. Ben Eastman, née Koch, 1115 First Avenue, was pronounced incurable from tubercular glands by 73 physicians. She was operated on 26 times and remained in the same dying condition. Later she was taken to the Osteopathic Institute in Los Angeles, California, and was a patient there for three-and-a-half years. Her father testified that his daughter’s illness cost him three houses in the city of Davenport, a valuable wheat ranch of 160 acres, 147 carloads of wood, and all the money he had. She is now healed of the Lord, and since then has become the happy wife of Mr. Ben Eastman. Mrs. O. D. Stutsman, Hansen Apartments, testified to having been an invalid for thirteen years. On one occasion, she lay in the Sacred Heart Hospital with a twenty-pound weight attached to her foot for thirty-two days, while suffering from inflammatory rheumatism. Her suffering was so intense that she begged her husband to take her home, preferring to remain a cripple rather than endure such suffering. The Reverend Lake was called to minister to her at her home; as prayer was offered, the power of the Spirit of God surged through her. Five minutes after his hands were laid upon her, she arose from her bed, perfectly healed. Mr. John Dewitt, of Granby Court, testified on behalf of Frederick Barnard, thirty-two years of age, who was injured in his babyhood from a fall from a baby cab, causing curvature of the spine. As he grew to boyhood and manhood he was never able to take part in the sports common to boyhood and manhood. When the great war came on, he would stand around the recruiting office, longing and covetously watching the men who enlisted for the war. One day he expressed to Mr. Dewitt the sorrow of his soul that he was not able to enlist also. Mr. Dewitt told him of Mr. Lake’s healing rooms and invited him to come and be ministered to. The curvature of his spine straightened, and his height increased one inch. He applied for enlistment in the Canadian army and was accepted by the army physician as first class and sent abroad. Mrs. O. Gilbertson, N4115 Helena Street, testified that through disease her hip came out of joint and her limb would turn like the leg of a doll, showing that it was entirely out of the socket. Her home is about five miles distant from the healing rooms. Reverend Lake and his co-workers engaged in prayer for her at the healing rooms; and as prayer was offered the power of God came upon her, resetting the joint. Now comes one of the most remarkable cases in history. The Risdon family stood holding their six-year-old son on their shoulders. This boy was born with a closed head. In consequence, as he increased in years, the skull was forced upward like the roof of a house, the forehead and the back of the head also being forced out in similar manner, giving the head the appearance of the hull of a yacht upside down. The pressure on the brain caused the right side to become paralyzed, and the child was dumb. Physicians said that nothing could be done for him until he was twelve years old, and then the entire top of the head would have to be removed, the sides of the skull expanded and the entire head covered with a silver plate. Under divine healing ministration, in answer to prayer, the bones softened, the head expanded, the skull was reduced to its normal size, the paralysis disappeared, and the dumbness was gone. He speaks like other children and now attends the public school. Mrs. Lena Lakey, W116 Riverside Avenue, testified of having suffered with violent insanity. She was a cook at a lumber camp. She told of the men at the camp endeavoring to overpower her and tie her in the bed; of her tearing the bed to pieces and breaking her arms free; of how she struck one man with the side of the bed, rendering him unconscious. Another was in the hospital three weeks, recovering from injuries. She escaped into the woods in a drenching rain, eventually falling exhausted in a copse of trees, where she lay unconscious for six hours until a searching party found her. She was brought to Spokane in an auto by six men and was tied with ropes. Before taking her to the court to be committed to the insane asylum, they decided to take her to the healing rooms. Reverend Lake laid his hands on her in prayer, and the demons were cast out and she was instantly healed. An abscess in her side, from which she had suffered for fifteen years, totally disappeared in twenty-four hours, and a rheumatic bone deposit between the joints of the fingers and toes, so extensive that it forced the joint apart, was gone in forty-eight hours. She was made “every whit whole” (John 7:23). Mrs. Holder gave testimony of healing by the power of God in answer to prayer, having been healed from insanity while an inmate of the Medical Lake Insane Asylum, in answer to the prayers of Mr. Lake and his assistants. Mr. and Mrs. Harry Lotz stood, holding their baby in their arms. The baby developed pus in the kidney and was pronounced incurable by several physicians. The child was brought to the healing rooms. Reverend Lake laid his hands upon the child in prayer, and it was instantly healed. Mr. Allen, pastor of the Pentecostal mission, was dying of pellagra. He was carried unconscious from the train. The men thought him to be dead and put him in the baggage room. He was instantly healed through the laying on of hands and prayer. His case is a matter of record by the government pellagra investigation commission. Mrs. Ben Long, 1971 Atlantic Street, testified to being instantly healed of paralysis of the left side. She was brought to the healing rooms and ministered to by Dr. Lake, and when ten feet from the healing room door, she found that she had been made whole. 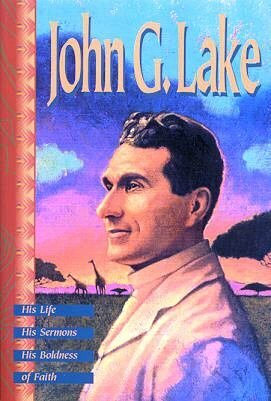 Discovering that she was well, she returned to the waiting room and showed herself to Mr. Lake and offered praise to God for her healing. Mrs. John Dewitt, Granby Court, gave testimony to having been healed of neuritis after years of suffering. Later she was healed when in a state of apparent death following two strokes. A group of friends were present and witnessed her instant healing as Reverend Lake prayed. Mrs. Mary Mero, lady-in-waiting at the healing rooms, who resides at W717 Nora Avenue, broke her ankle when a child. In endeavoring to favor the broken ankle, the other ankle became diseased, and for fifty years she had suffered violently. She was instantly healed after she was ministered to at the healing rooms. She was also healed of ulcers of the stomach after twenty years of suffering. Mrs. Miles Pearson, E2815 Illinois Avenue, suffered a broken ankle a year ago. It was not property set and remained inflamed and swollen as though the leg would burst. She was healed in answer to prayer two weeks ago. Mrs. Thomas Olsen, Rowan Street, healed when dying of internal cancer. For ten days she had touched neither food nor drink. A group of Christian friends gathered about her and prayed. As prayer was offered, Jesus appeared to her, standing in front of her, reaching out His hands appealingly. She endeavored to rise from her wheelchair and grasp the hands of her Lord, and as she did so, thrills of divine life flashed through her body, and she was healed. Two days later, she vomited the entire cancer, body and roots. Mrs. Richards, Sandpoint, Idaho, testified that she had been healed when dying of tumors and paralysis on one side. After prayer, the tumors loosened and passed from the body. Mrs. Allen of Waverly, rising in the audience with a friend who corroborated her testimony, was dying from internal cancers. She was brought to Spokane by Mr. Ramey, a hardware merchant of Waverly. She was perfectly healed and is now earning her living as a saleslady. Mrs. Kellum, Portland, Oregon, testified to having been blind nine years. As prayer was offered, a vision of Jesus laying His hands upon her eyes appeared to her, and she was instantly healed. The services then closed with the following prayer of consecration, spoken clause by clause by the Reverend Lake and repeated by the audience. In Jesus’ name I come to Thee, take me as I am. Make me what I ought to be, in spirit, in soul, in body. Give me power to do right, if I have wronged any. To repent, to confess, to restore. No matter what it cost, wash me in the blood of Jesus, that I may now become Thy child and manifest Thee in a perfect spirit, a holy mind, a sickless body. Amen.